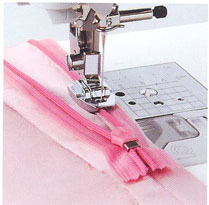 Attaches zippers and piping easily. 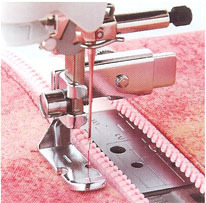 Its position can be adjusted exactly on the zipper/piping, avoiding the non-flat parts of zipper/piping, and presses the fabric with just right pressure. 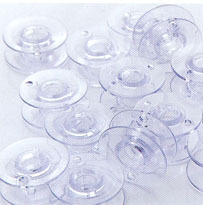 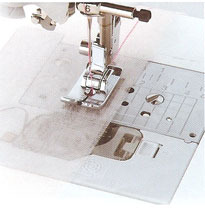 Perfect for precise and esy joining of fabrics, even sheer and difficult fabrics. 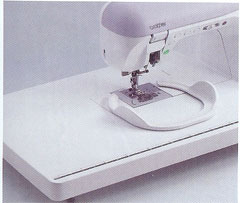 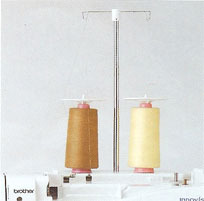 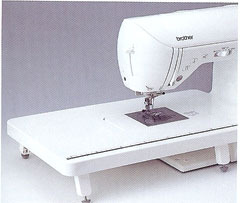 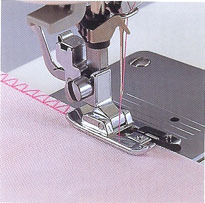 It can also be used to line up and sew lace to the edge of another fabric. 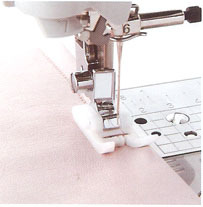 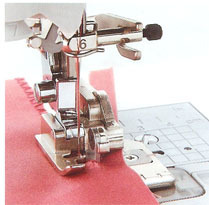 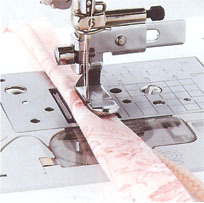 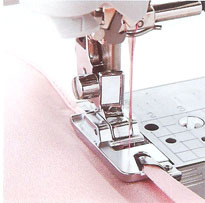 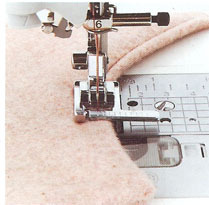 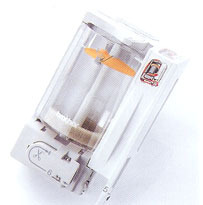 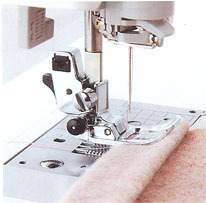 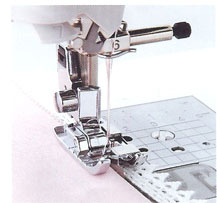 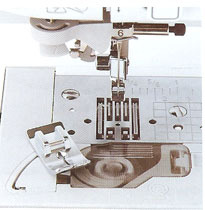 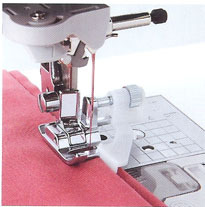 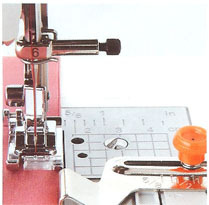 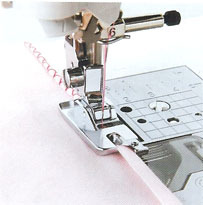 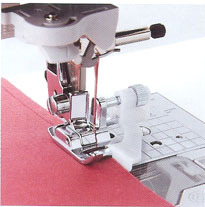 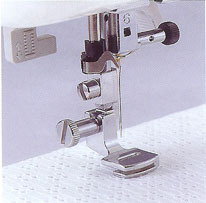 Straight stitch foot and needle plate for perfect straight stitching.